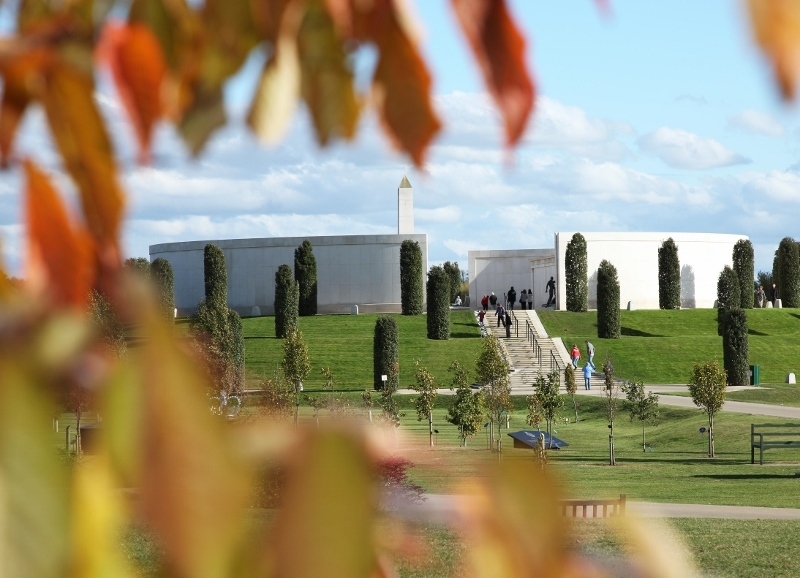 The renowned National Memorial Arboretum in Staffordshire will be displaying all its autumnal beauty when it stages a free family event on the forthcoming weekend of Saturday 22 September and Sunday 23 September. The Arboretum, situated at Alrewas, near Lichfield, contains almost 30,000 maturing trees dotted around its 150-acre grounds. And many of those trees will be displaying the full changing range of seasonal gold and red colours when the Arboretum hosts its Autumn Festival, which will feature live musical entertainment, arts and crafts activities for families, woodland animals, archery and a food and craft fair. Sarah Oakden, Head of Marketing at the National Memorial Arboretum, said: "The Autumn Festival is the perfect opportunity for families to visit the Arboretum and embrace the Autumn spirit with a range of free activities and entertainment, and an array of seasonal foods and gifts will be on sale. Visitors can enjoy the festivities and venture out to explore 150-acres of beautiful woodland, home to more than 370 memorials commemorating individuals and groups for their service to our country." The Arboretum is the UK's year-round Centre for Remembrance which honours the fallen and recognises service and sacrifice. A part of The Royal British Legion, the Arboretum has more than 370 memorials dotted around the thousands of trees. In October 2016, it opened a £15.7 million Remembrance Centre, following a major fundraising campaign supported by numerous individuals and organisations, including Staffordshire County Council and the Heritage Lottery Fund. The Centre has secured a number of awards, including one from the Royal Institute of British Architecture, and was named Large Visitor Attraction of the Year 2018 (Gold) at the Visit England awards.